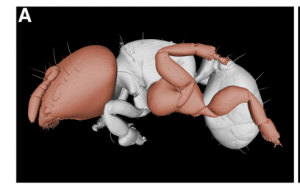 We have a new paper out led by Adam Khalife and Christian Peeters in Frontiers of Zoology, about the very strange ants from the genus Melissotarsus. These African ants live exclusively in tunnels they excavate from living wood. They get their food from diaspadid scale insects they cultivate in their tunnels. Tunnelling through living wood is a pretty tough thing for ants to do, but Melissotarsus has some famously weird things about it that seems to help. The most obvious is their middle legs, which point upward instead of down like all other ants. It’s been known for a long time that due to these legs, they can’t walk on a 2D surface, they just fall over. So, what’s going on here? 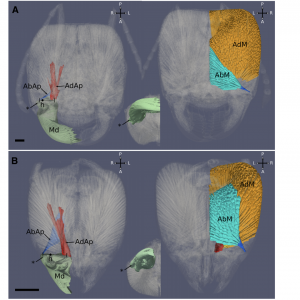 In this study we used micro-ct along with other techniques to investigate adaptations to the skeletomuscular system, and the mandibles and legs in particular, that allow this ant to live this unusual lifestyle. Melissotarsus have unusually shaped heads, packed with muscle to close their powerful jaws. Their apodemes are expanded allowing for increased muscle fiber attachment. Turns out, their opener muscles also are enlarged, which is unusual for ants. This appears to help it chew through wood with its zinc-fortified cone-shaped mandibles. One needs both closing and opening power topush mandibles in and pull them out of wood. And what about those legs? Ants hardly have trouble walking through tunnels on normal legs. 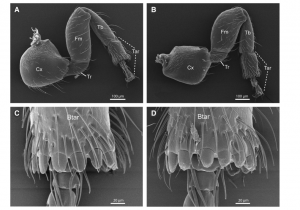 Melissotarsus legs appear to be evolved to help brace the ant in the tunnel to apply force to the biting motion. If you are tunneling into a hard surface you need to push down on that surface, and if the ant is not anchored somewhere, the powerful mandibles would just push it backward. So we think that is why they have such odd legs, to anchor itself in the tunnel. Aside from their orientation, legs themselves are also highly modified, apparently for bracing. 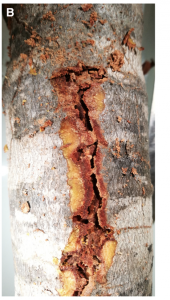 There’s a lot more in the paper, and a lot more cool things about this ant that have evolved to allow it to exploit a unique (to ants) ecological niche that our team and others will be exploring in future papers. Out in Nature this week: “The future of hyperdiverse tropical ecosystems”. 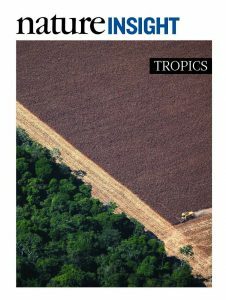 We were happy to contribute to a broad review of the importance of the hyperdiverse tropics to global biodiversity, ongoing threats to tropical biodiversity, as well as strategies to help mediate those threats. 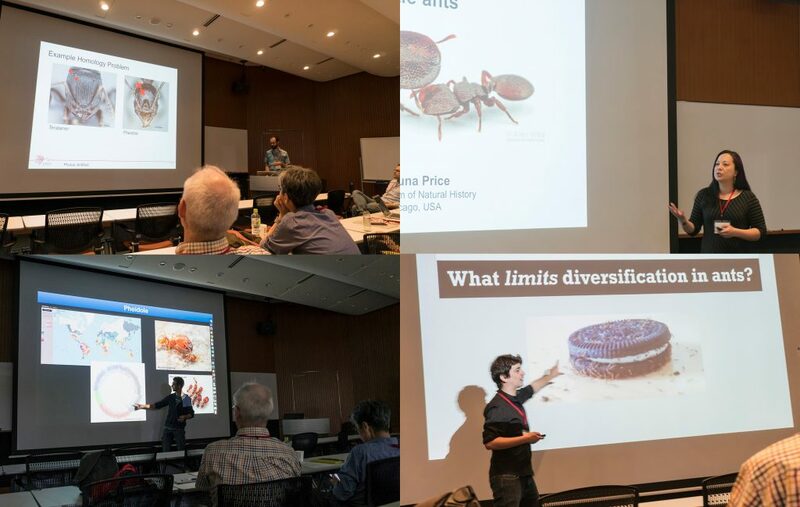 Particularly pleased to see ants being used as an exemplar taxon alongside birds and mammals and the rest, a main goal of our (and many others’) efforts over these last years. This stunning photo was taken by the late Rodrigo Baleia. 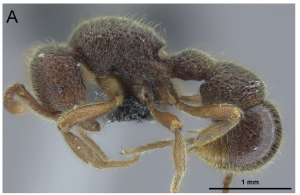 We have a new paper out in Zookeys (https://doi.org/10.3897/zookeys.770.24908) that revises the taxonomy of the very rare and cryptic ant genus Proceratium in China. 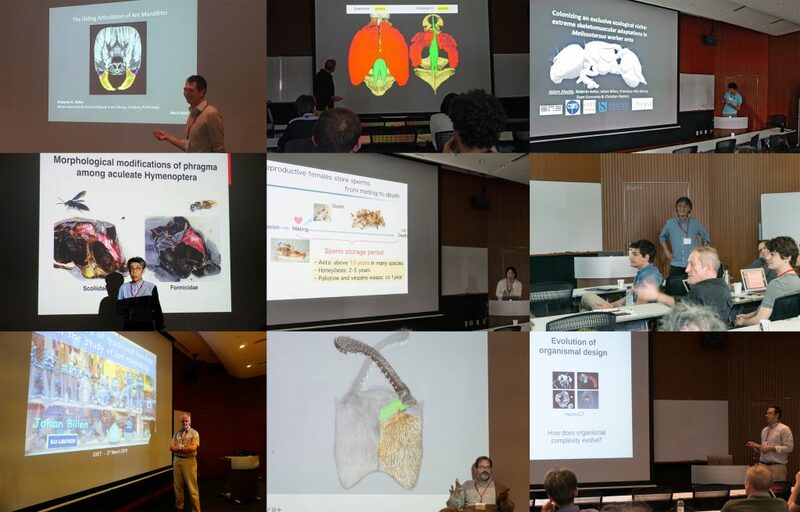 We recognized 8 species from China and described 3 of them as new to science. The most spectacular species from Yunnan we named Proceratium shohei in honor of Dr. Shohei Suzuki (1979-2016), a marine scientist from OIST who lost his life in a tragic research diving accident. 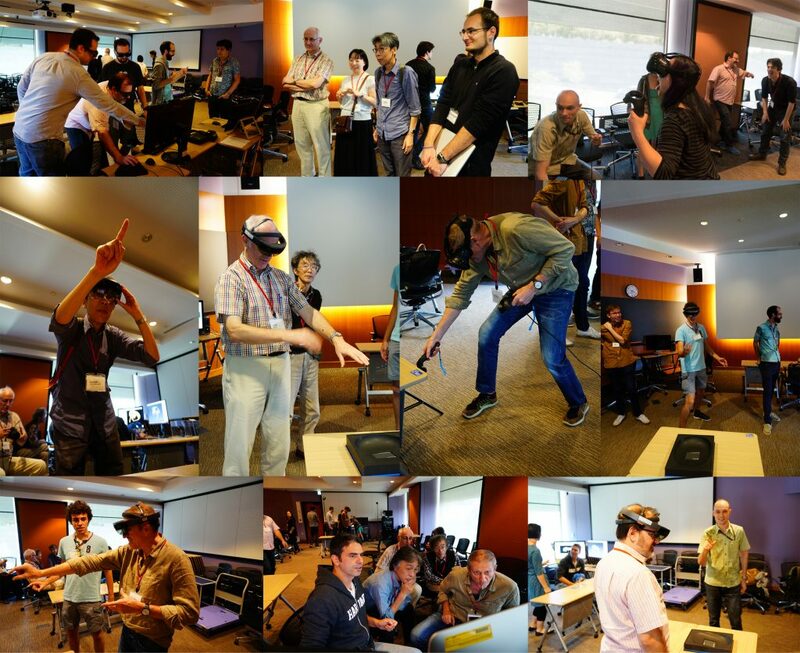 The study was led by our colleague Michael Staab, and included Paco and Cong from the lab, along with Zheng-Hui Xu from China. 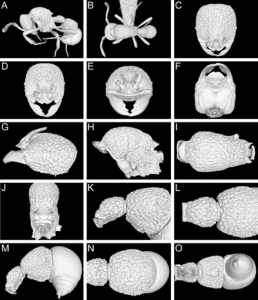 This study continues our lab’s line of research integrating x-ray microtomography (micro-CT) scanning, computer-based 3D reconstructions, and several downstream 3D data products (such as 3D surfaces and videos) into ant systematics. 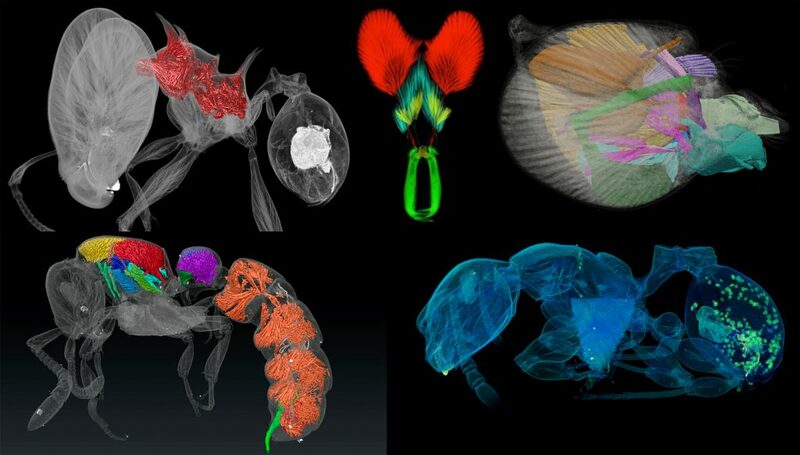 We used virtual 3D surface models based on micro-CT scans for in-depth comparative analyses of specimen morphology in order to overcome the difficulties of examining the rare and valuable physical material. Since these ants are extremely hairy, thus often very dirty, we basically “shaved” them virtually. We have a new paper out in Nature Communications on testing hypotheses for latitudinal gradients in ants. 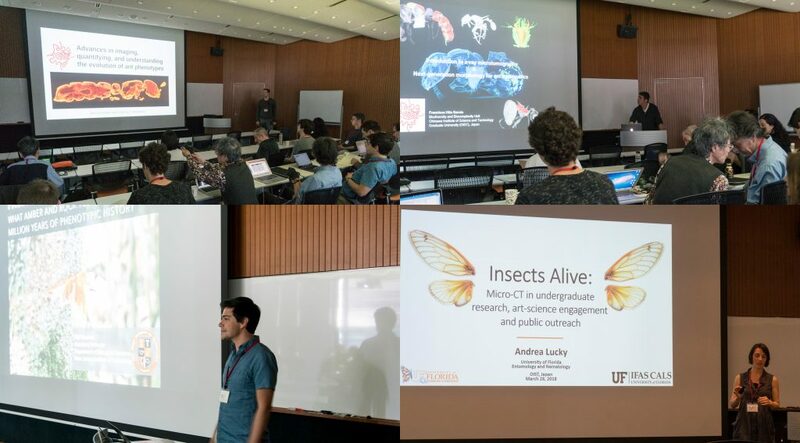 This is the first paper to really present and analyze the full scope of the GABI database of all ant species distributions. 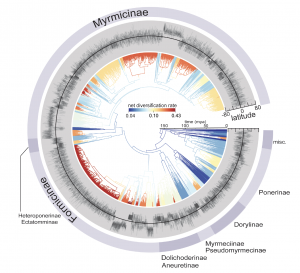 To complement the species range data, we did a very extensive phylogenetic and dating analysis, including implementing the fossilized birth-death process with 500 fossil taxa informing the dating. We analyzed the geographic and phylogenetic data together to test hypotheses for the latitudinal gradient, including variation in diversification rate and time. We generally found the latter to be most consistent with explaining the gradient. 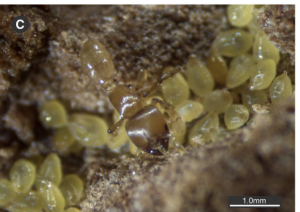 We also did a complementary study focusing on Pheidole, which deals with emergence of the gradient on more recent timescales. A preprint of that one is available on bioarxiv.